Followthemoney.com is a fiercely independent trend research firm that delivers profitable global market analysis for do-it-yourself traders and investors. Are You Ready For The "Green Gold Rush"? Have You Heard of the 770 Account? 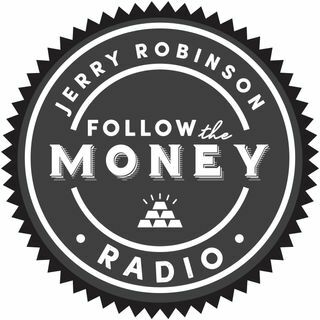 Follow the Money is a daily podcast dedicated to expanding your personal, spiritual, and financial liberty. Hosted by economist and best-selling author, Jerry Robinson. The Follow the Money podcast delivers fierce truth about global trends along with profitable investment and income ideas. Heard in over 30 countries each week since 2010, our podcast helps you understand what is truly important about your money. A must-listen segment for gold and silver investors. Welcome to Kingdom Way Radio with Jerry Robinson! This broadcast exists for the two-fold purpose of challenging believers to think and thinkers to believe.